Tube Saddle is a lightweight foam insert designed to prevent pinch flats. 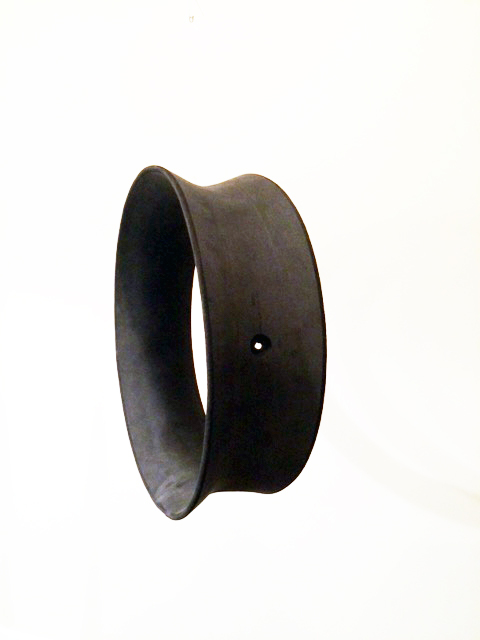 It requires no modification to the rim and installs essentially the same as an inner tube. Think of a Tube Saddle as one-third Mousse, one-third pinch flat preventer and one-third performance enhancer. The MXA wrecking crew was able to run rear tire pressures as low a 8 psi for added traction with no ill effects. Who benefits from the Tube Saddle®? Any trail aficionado who values low tire pressure as a means for a huge increase in traction and a more copliant ride, all the while knowing that a pinch flat can ruin his day. Serious riders will make this product part of their off-road setup; we did. Hi, I just wanted you to know how extremely happy I am with your tube saddle. I rode a very rocky, wet technical enduro yesterday and my traction was incredible. Awesome product. Another Tube Saddle user here and I ran 10 in front and 9 in the rear just like usual and had no issues. That race can be tricky because it is VERY sandy in portions (sandy soil in general plus it runs through some abandoned cranberry bogs) but one never knows what nasties may lurk in the woods from stumps where is zig zags through some clear cut, logs, and even a concrete slab near the boat dock one year that developed a three inch deep hole in front of it one year. Talk about a pinch waiting to happen!!!! Not going to post a pic but the results show I went First Place in Vintage class with the Tube Saddles. 🤘🤘 love running the tube saddles! Couldn't ask for better traction being able to run 6 psi and not get flats. I have ridden with a Tube Saddle® for 1000 miles with both front and rear tire pressure set at 8 psi. The terrain has varied from single track to paved roads and I can say that I overwhelmingly LOVE IT! The comment from my fellow riders was a frequent “Wow, you’re riding great today”. I have to give almost all of the credit to Tube Saddle® because the traction is amazing and it makes the bike feel extremely stable. I was very excited to try the new Tube Saddle® product. It gives me a better option to the Mouse tubes I had been running in the past. They allow me to adjust the air pressure to my exact liking. Mouse tubes are either hard –good for a while—and then too soft—during their life. I was able to run 8-10 lbs. 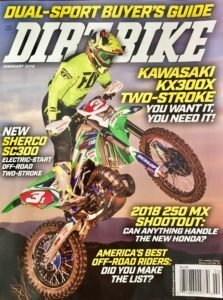 of air pressure at the Snowshoe National Enduro–With zero incidents. So this product is tested and true to its claim. I highly recommend this product to my friends and racing partners. When I first pulled the Tube Saddle® out of the box, the first thing that struck me was how light the product was. I was also very impressed the way Tube Saddle® installs as it actually prevents you from pinching your tube during installation. I have ridden just over 500 miles (KTM 450) using Tube Saddle® @ 8psi, mostly in the Sierra Nevada Range near Twain Harte, California. I was very impressed with this product, I was able to run a gear higher and pound through our famous rock garden with complete confidence. The bike now glides through the rocks instead of the ping pong effect you have with running higher pressures. The single track was dry and slick, but I found Tube Saddle increased my traction and enabled me the ability to brake harder and deeper into the corner. I have utilized other insert type products over the years and this one is a “No Brainer”. This product is adjustable, cost effective and is simple to install, I Love it! Tube Saddle® gives me the freedom to ride in the mountains, far from civilization, with lower air pressure which is awesome. I am not deflecting away from my line because of the high air pressure needed to prevent pinch flats. Better handling for sure, but they also make the ride smoother, and the combination allows me to go faster. It’s hard to put a value on increased confidence. I have 1300 miles of riding using Tube Saddle® on my KTM 500 both front and rear. The first 700 were logged riding out of Austin Nevada on a mix of fast two track roads and rocky mountain passes. I ran 10 psi front and rear, where I normally run 15/13 to prevent pinch flats. It feels like cheating when running such low pressures. Where I would normally be sliding or losing traction, the tires would hook up due to the bigger contact patch and more flexible footprint. I was paranoid I was going to get a flat, but it never happened! At the end of that trip, the rear Dunlop MX51 was toast, but the front still had some life in it, so I just replaced the rear tire with a new tire and reinstalled it with the used rear Tube Saddle® for my next ride. The next trip was 600 miles out of Pioche, Nevada. Because hurricane Norbert brought incredible flash flooding to the area, the roads and trails out of Pioche were hammered and much rockier than usual. Again I ran 10 psi front and rear and I rode giving no mercy to my tires. Again I had no flats, but had all the advantages of the lower tire pressure. I really love the performance advantage that Tube Saddle® brings and they will now be an essential piece of my riding equipment. Thank you to James Curry, the creator of Tube Saddle®, for providing what I believe to be the most important mechanical asset to my King of the Moto’s race! I was able to run 7 PSI in my front and rear tire during the race. This made it possible for me to be able to get the INSANE grip needed to tackle this brutal race! Tube Saddle® was super easy to put into my tires, and I plan on leaving them there. You are at a disadvantage if you try to run an extreme event without this product! See you on the course! Had an awesome day out at King of the Motos. Thanks to Tube Saddle® for all the traction needed to make this extreme event a success. I ran Tube Saddle® with 6 psi in the rear all day with great results. Finished 1st amateur and 12th overall. Braap!! 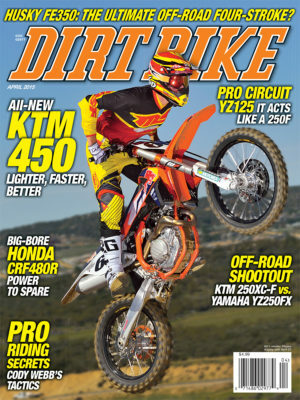 I have been riding with Tube Saddle® for Endurocross and have found I can run much lower tire pressures. Tube Saddle® allows me to choose my tire pressure based on the type of riding I am doing. I currently run Tube Saddle® with 6 psi in the rear all day with great results. I have been racing the MRANN desert series and found that the only way to prevent pinch flats is to use 18psi front and rear. This obviously decreased my traction and increased the wear on my wrists. Since I switched to Tube Saddle® I was able to lower my pressures to 10.5 front, 12 rear and the difference is amazing. I can ride longer and faster now with less shock to my body. I have had no issues with flats and at my pressures there hasn’t been any issue with the tire slipping on the rim. I would recommend this product to anyone that is tired of the high pressures required to avoid flats. I have raced with Tube Saddle® in a variety of conditions from a brutal enduro in Illinois with the ground frozen solid to the rocks and tree roots of an OMA National in Kentucky with great success. Tube Saddle® has allowed me to run the tire pressure that optimizes traction without fear of pinch flats. Tube Saddle® is the real deal! 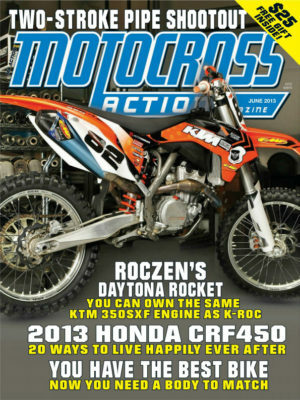 Would love to talk with someone about how to help get the word out at GNCC races about your product. They worked fabulous at a brutally rocky Masontown WV race a couple of weeks ago, and the real test is coming up June 21 at Snowshoe WV. WE are telling people as fast as we can how fantastic these are – but would love to speed up the process. Tube Saddle® is the fix I have been waiting for. With the wide variety of terrain here in Ontario Canada I found it hard to commit to the alternatives. Bib mousse would expand and blow out on the high speed logging roads, and the jagged rocks of the Canadian shield would punch through my tires and render the Tubliss system useless. Now I have the capability to run low pressure without the fear of getting pinch flats. This allows for far better traction and and improved handling in all situations. I have been running 8-10psi with stock tubes and Tube Saddles® on my 450XCF for 20 hours of hard riding and racing and I have had no flat tires. Thanks James Curry for inventing this incredible product! (UPDATE) First of all, I couldn’t be happier with Tube Saddle®. I have been running 8 psi and haven’t had any flats (about 50 hours on the bike). I’m on my third set of tires and I have just put in my second Tube Saddle® in my rear. The first one was still holding up OK, but I decided to change it anyway because I am headed to a particularly difficult Enduro in LA Doré Quebec and I really don’t want any flats. I am currently in second in the Enduro, cross country, and overall championships, and only 3 points off of first in each. The national series starts tomorrow and I am feeling confident that I will place well. I would also like to let you know that all of my friends that have purchased Tube Saddle® from you love them. There has only been one flat so far, and it was a very large gash that took a hunk out of the tire, Tube Saddle®, and tube. It also resulted in a bent rim and a couple of broken spokes! Can’t blame that failure on Tube Saddle®. Keep it up! 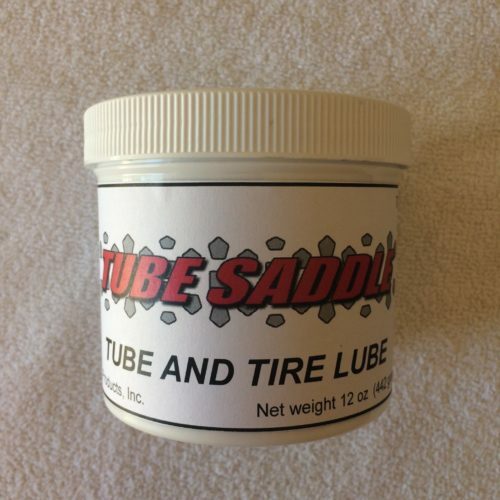 Now that I have completed some races with this product, I am a true believer in Tube Saddle®. When racing off road events here in the NY and PA area, having a tire set up that gets good traction in the slick rocks and roots is critical. Tube Saddle® gives me the advantage to run 4 to 6 psi lower than I used to, and the difference is amazing! The increase of traction in corners and acceleration are huge. At the end of 2014 I was looking to buy and install some new Mousse Bibbs for The King of the Motos race I was doing, when I came across a product called Tube Saddle®. While I loved the piece of mind the Bibbs offered I hated the price, the installation and the inability to adjust tire pressure. A new Bibb gives you a set pressure (approx 13lbs) and then as the Bibb wears the tire pressure continues to drop. 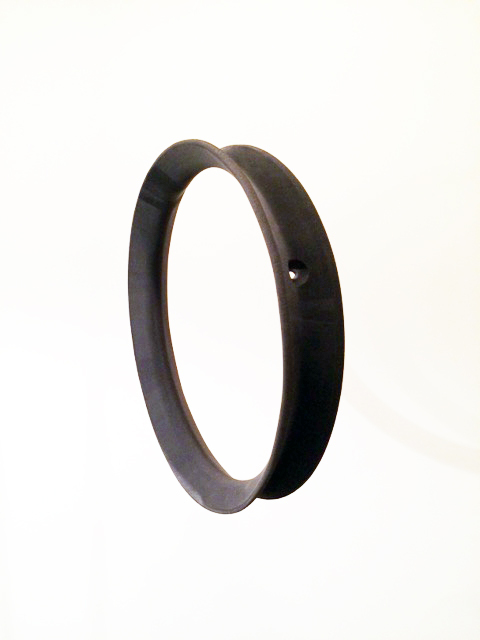 In comes the Tube Saddle® product. A product that stops pinch flats. 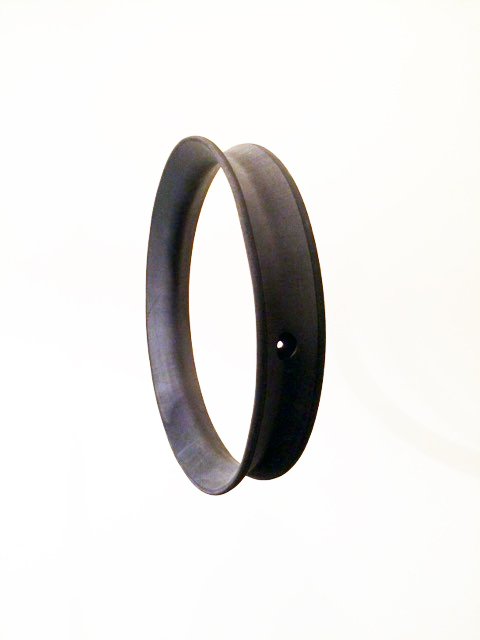 This product goes between your rim and tube and protects against pinch flats. The idea sounds good but would it REALLY work as advertised? I called up Jim the owner and chatted with him for a while and ordered Tube Saddle® to give it a try. (front and rear). In Feb of 2015 I raced the extreme Enduro (King of the Motos) which is more of a survival race than a standard enduro. Plenty of rocks and sharp objects just looking to give you a pinch flat. With Tube Saddle® and medium duty tubes in the front and rear I took on KOM. I was able to run both races that day with ultra low air pressure without ANY issues. Max traction all day! Installation took a little finesse but wasn’t bad. I have now ran the same Tube Saddles all year, with multiple races recorded. Including two of the West Coasts toughest Enduros (KOH and Last Dog Standing). Super happy with the product and wouldn’t ride without them in my bike. The owner is a great guy who is a racer and has passion for the off road community. Thanks Tube Saddle® for the advantage on race day! I have 17 years of racing and riding in Baja and I heard about some new product called Tube Saddle® and decided to give it a try. Preparing for the Baja 500 this year, I ran Tube Saddle® in both front and rear tires in my pre-runner at lower tire pressure than I normally run. I was very happy with the testing over 8 days and over a 1000 miles on the same set or tube saddles. I decide to run the Tube Saddle® in the rear tire of my race bike at a little lower tire pressure than we normally do to obtain better traction. Tube Saddle® performed flawlessly and was able to withstand the heat and friction that typically destroys a rear tire Mousse bib or tireball setup in Baja racing. This product is easy to install, it is lightweight, it is not expensive, and most importantly it is the only product I know of that handles the heat/friction abuse incurred in Baja racing while allowing to run lower pressure for better traction. I look forward to working with this product more to further optimize rear tire setup in Baja racing. Thank you very much for your product. What a great race. I ran 10 psi in the rear. The traction was incredible on the rocky up hills. I could definetely notice the difference. I took first place in my class, and was only 12 seconds behind the top A class rider! After running about 500 miles of tough, rocky trail over the course of a week in the mountains of Colorado, I had no issues with tire pressure faults on my RM250. I consistently ran 10psi on the front tire and 8psi on a rear trials tire, and found the reduced tire pressure to be amazingly helpful on the rocks. I had great traction and bump absorption for the entire trip and really contribute this to your product. We were certainly on good terrain for flats as my group of 7 had 9 flats that I can remember throughout the week. They pinched heavy duty tubes, ultra heavy duty tubes and rattled Tubliss rimlocks loose. I think there may have been a few converts on my particular ride as I am a big guy and was generally bashing through the rocks. They all expected me to have the most trouble, so it was nice to prove them wrong. Near the end of the trip, I fielded numerous inquiries about the product. The only negative I can think of is that I thoroughly trashed my front tire by the end of the trip since I was confident running a low pressure and flexing the sidewall, but I won’t call that a complaint! I own Arizona Off-Road Promotions and we put on off-road races. I use my KTM to make and mark all courses, some of which are very rocky and gnarly. I gotta say when I first heard of Tube Saddle® I had my doubts, but once I put it on the front and rear and lowered my tire pressure I gotta say it was some awesome gripping and I loved it. I would definitely recommend this product to any off road racer. Thanks for making such a great product at an affordable price. I am a natural skeptic, there is a lot of hype and BS in the world, and so when James Curry first told me about his product Tube Saddle® I was like “yah, sure….”. But I will try stuff, so I installed them, with no problem, and went off to the Tecate Enduro. On my KTM 500EXC I would normally run 16-18 lbs of pressure for a brutally rough event like Tecate. Per his recommendation I ran 11 lbs front and rear. The bike handled great and I was one of the few 50+ riders to finish the event. Then I trail rode several weekends, gnarly nasty trail rides always running 9-10lbs of air pressure. Then it was off to Virginia City Grand Prix, one of the most chewed up rock strewn races anywhere. I ran 10lbs of air, the bike worked fantastic and I won the 50+ expert class. Okay so at this point, I finally believe. Here is where the rubber meets the road: My KTM 500 handles MUCH better with 10lbs of air pressure than it does with 15lbs. Tube Saddles allow me to run this low pressure and not get pinch flats. Very, very cool. Thanks for the great product. I have been experimenting with the Tube Saddle® for almost a full season. I mostly race here in New England, just got my AA status, and am pretty darn hard on equipment. I have resisted the full time switch to running mousse inserts as I just didn’t want to give up the option to adjust tire pressure to riding conditions. Understand that in New England we ride 99 % of the time in nothing but rocks, with more rocks thrown in. So far I have had great results with the TS…I have been running tire pressures anywhere from 8 to 13 PSI in the rear and 12 PSI in the front with zero flat tires. The feedback from the front tire is much more “positive” and precise as compared to a Mousse, and the traction from the rear with 8 to 10 pounds can’t be beat. I feel that when running a Tube Saddle® I can confidently attack the New England rock gardens without worrying about tire failure. Additionally, as an 18 year old I am on a pretty tight budget, so running Mousse’s full time is not an option….the Tube Saddle® is easily re-usable without any problem, just install according to the instructions and they last for a long time. I was amazed with how well Tube Saddle® works after racing King of the Motos at 5psi! The difficult lines you can take are unbelievable and definitely take your riding and racing to the next level. I’ve always wanted to run low pressure to get the tires to hookup without wheelspin, but then you run into pinching. Not any more. I can blast rock sections with ease with controlled traction. The other thing about running low pressure is that your tires don’t bounce off obstacles. Instead they absorb them, so you don’t end up dangerously glance-bouncing off rocks at speed. They basically turn any tire into a “cheater” tire while confidently racing on low pressure! These are the real deal! Easy to install, long lasting, and an affordable product for serious traction!